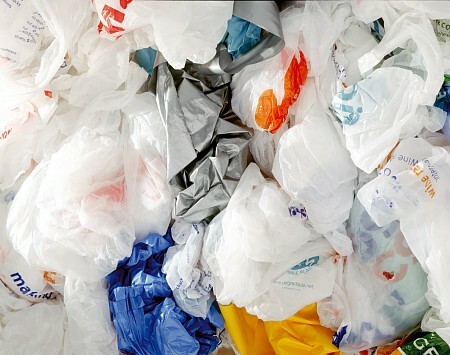 As of 1st October, shoppers in Wales will have to pay a minimum of 5p per carrier bag they use, in an attempt by the Welsh Government to dramatically cut down on the excessive number of bags used in Wales each year. 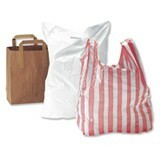 The legislation forces retailers in Wales to keep a record the number of bags they issue, and accounting where proceeds from the carrier charge are used. There is mixed support at this time addressing the introduction of the charge and will be hard to foresee how it will be perceived by the public in Wales. Wales is the first nation within the UK to pass legislation introducing a levy on single use carrier bags. There had been attempts in Scotland a few years back but lacked (Scottish) parliamentary support to take it any further. The fact that Wales has introduced another first can provide a positive feeling that the National Assembly, and its government are leading the way on a variety of issues. Others deem it to be, yet another guinea pig experiment before the rest of the UK considers the matter further. Neighbours in the Irish Republic have already seen a levy placed on single use carrier bags for just under a decade, Ireland reported a 94% drop in the use of the plastic bags as a result of the levy which saw a 33€c charge (30p equivalent in the UK) in just two weeks after it was introduced. So the question to be seen is will the successes seen by our neighbours in Ireland be mirrored here in Wales? It at this present day remains to be seen and only strong guesses can be made. The Government believe that according to current day behaviour it would see an approximate £2.6 million being raised and should go to the charities/ local environmental groups. The issue surrounding the actual charge had to been raised in Ireland too, but had been rebutted with the argument that it still provides choice while making people think about and change their behaviour/habits. The legislation in regards to Wales does not go into depth over where peoples 5p“tax” will go, other than it is up to the individual retailer, but they state that the government hopes the retailers will donate the money to charity or local environmental groups, but remains a voluntary option rather than a compulsory one. This part of the legislation had seen the most negativity, due to the fact it arguably allows yet another opportunity for retailers to “line their pockets”. The Government argues that public pressure would and could ensure otherwise, they will also create a voluntary code of practise by which retailers could follow. There are a number of exemptions to the levy as it is deemed by the Government to apply the charge in certain circumstances. Food items that are unwrapped – loose fruit and vegetables, bread, pick and mix sweets etc. Packaged uncooked fish or meat. Bags on board ships, trains, aircraft, coaches or buses. Small businesses employing less than 10 people will be except from noting how many bags were distributed. The Government has been blamed for bad communication, in respect that many retailers are still confused where they fit in to the charge. Some believe they are exempt from the charge as they employ less than 10 people but this is not the case, they merely just do not have to maintain a record of the number of bags given out. With less than a month until the legislation kicks in, the government needs to radicalise their message a lot better, they do have a website but the knowledge or knowledge of how to get onto it is slim. There will be a 3 month “teething stage” granted to retailers to provide time to implement their action plan as well as understanding the legislation. After the 3 months, failure to comply will mean the retailer/provider faces a £5000 fine, and in which the money goes back into the public pot to fund the various public services. Many retailers have already suggested, they will swallow up the charge if possible due to the feeling of embarrassment of trying to communicate the issue, more specifically to tourists who they argue would feel that Welsh shops are stingy. Some individuals argue that it is a “stupid” or “unnecessary” charge on individuals on such a “small issue”. They believe attention should be instead focused on combating companies and the excessive packaging they create for their products. Others have stated they would rather cross the border than face the 5p per bag charge, ironic as it would probably cost at least £6 in fuel to do so. Its, this such mind frame, that the charge is attempting to persuade to think again. The fact there is obvious differences between how the charges operate, and will operate in the two countries (Wales and Ireland). Wales are charging considerably less at 5p per bag and Ireland first introduced the rate at 33€c (about 30p) , also in Ireland the levy had no affinity to the economy as there is no plastic bag production. Overall as said there is still confusion over how the legislation will affect businesses in Wales, however there is hope by October 1st, any issues should have been addressed. The perception/ support remains unclear by the public at large with many stating they would shop in England rather than pay a 5p charge (bit ironic when it would cost more in fuel to cross the border in most cases). However the legislation as a whole is a positive step addressing an interesting environmental issue, the government will monitor how the legislation is implemented and further address the issue of waste as a whole over the next few years. Votes@16 Parliamentary Petition At What Age Is Old Enough To Vote – How About Sweet 16?